Soccer fans across the globe are obviously thrilled about the FIFA World Cup. How will they cope when all of the World Cup madness ends? Also, for those of you who aren’t fans of soccer (yet), are you having problems getting into the hype? 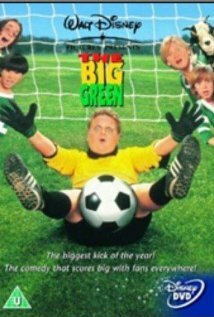 Well, we’ve got both groups covered with our list of soccer movies to keep the hype alive, long after the World Cup is over. Click the picture to watch the trailer! 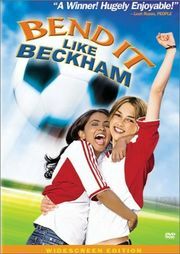 She’s The Man – Yet another soccer related movie which involves gender switching, this time though it’s a girl (Amanda Bynes) disguising herself as her brother Sebastian, so she can fulfill he goals of defeating her ex-boyfriend on the soccer field. Much like Ladybugs, a variety of awkward and funny situations ensue as she tries to keep up her disguise. The last three movies are actually separate installments of the “Goal!” trilogy. The first piece, “Goal! The Dream Begins” follows Santiago as he goes from working odd jobs in California to realizing his dream of playing soccer professionally. 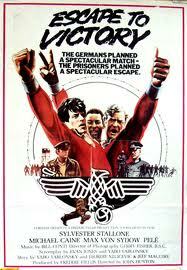 The second film, “Goal! II: Living the Dream” chronicles the ins and outs of the reality of playing professional soccer. In “Goal! III: Taking on the World,” Santiago and his teammates find themselves in the World Cup in Germany. 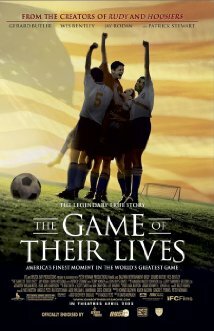 What’s so interesting about these films is actual professional footballers are featured, as this trilogy was created with full cooperation from FIFA. It’s that time again — when the FIFA World Cup pretty much takes over Facebook newsfeeds, Google doodles, and many other websites or news articles. While some people eagerly await the World Cup for four years, others are taken by surprise when it suddenly reappears. 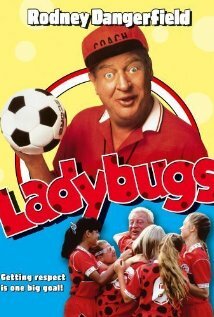 With it always seems to come a renewed interest in football/soccer. The Fédération Internationale de Football Association (FIFA) was founded in 1904 in Paris. Currently it is headquartered in Zurich, Switzerland and has 209 national associations as members. FIFA is responsible for the World Cup and many other international soccer competitions. Soccer was growing in popularity during the turn of the century, so much so that during the 1900 and 1904 Olympic Games introduced it as a demonstration event. After FIFA was created in 1904, the organization attempted several international tournaments, but these attempts were not successful. Soccer was finally presented as an official sport in the 1908 Olympics. FIFA Continued to work closely with the Olympics to manage and promote the soccer event for amateurs. Finally, in 1928 FIFA decided to again try and create an international tournament for the sport. This time they succeeded. The first official World Cup occurred in 1930 with Uruguay as the host country. Thirteen countries participated, and in the final match Uruguay defeated Argentina 4-2 and became the first nation to win the World Cup. Group Play: The 32 teams competing are divided into 8 groups of 4 in a manner which keeps top-ranked teams and geographically close teams separate from one another as much as possible. Over the course of two weeks, the four teams within each group play one another in a round-robin tournament. Since this round is NOT single elimination, ties (or draws) are allowed. During this Group Play stage, team standings are based on a point system. Teams earn 3 points per win, 1 point per draw, and 0 points for a loss. If there is a tie in this point system within a group, goal differentials will be taken into account to settle the tie (Goals For [GF] and Goals Against [GA]). At the end of the Group Play stage, the top two ranking teams from each group move on to the Knockout Stage. Knockout Stage: This single-elimination stage has three phases: Round of 16, Quarter-Finals, Semi-Finals, and Final Stage. The Round of 16 is when the winners from the groups face off against the runners-up from other groups. No ties are allowed in the Knockout Stage. The top 8 teams from the Round of 16 advance to the Quarter-Finals only to be narrowed down even further in the Semi-finals. And of course, the culmination of the month-long tournament takes place in the final competition. You can find the schedule for the 2014 World Cup here: http://www.fifa.com/worldcup/matches/. To learn more about the different teams and favorites among the groups, go here: http://www.washingtonpost.com/blogs/soccer-insider/wp/2014/06/11/world-cup-preview-group-a-teams-players-and-schedule/. Enjoy the World Cup! What is your favorite part of this beloved soccer tournament?